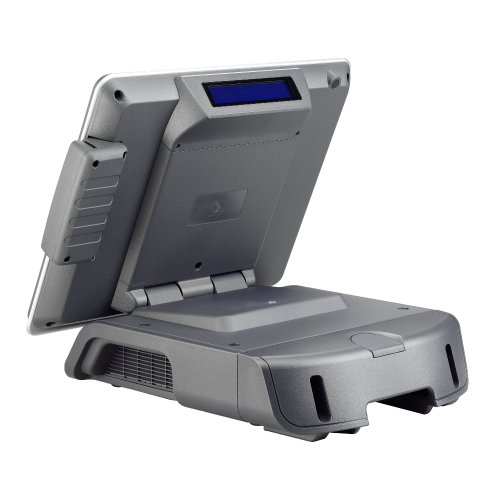 PowerPOS is a cost-effective fanless POS terminal designed with all of the essential features. The optional peripherals supported by PowerPOS allow additional expand ability for different business needs. Combining high performance with cost effective design concept, PowerPOS is a great choice for budget concerning customers. The sturdy but shaped plastic mechanical design represents Pegasus persistence in quality and taste.With abundant I/O access,PowerPOS provides great connectivity and considerable integrated peripheral options. Equipped with 270W power supply, the terminal is powerful enough to run Dual-Core CPU and to drive devices powered from the system Com ports. 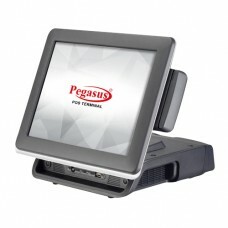 Pegasus PowerPOS Lite Terminal,15" Touchscreen (ELO 5-wire Resistive),320GB HDD,Intel Atom D525 Dual-Core 1.8GHz,Standard stand for Standard Type,20x2 LCM Customer Display,Magnetic Card Reader track 1/2/3,12.1", 330-nit LED LCD, No Touchscreen.